I found this funny Engrish menu while out for a walk. 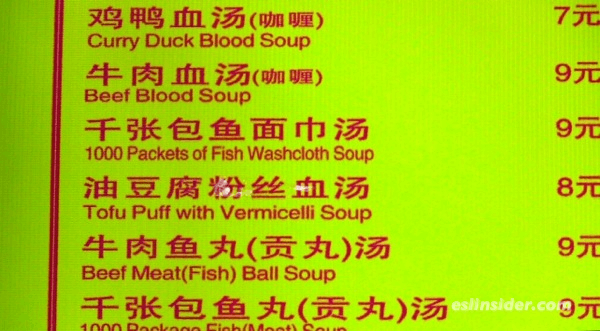 This wonderful menu was shot near Peoples Square in Shanghai. Check out these other funny "Engrish" photos.